Well the new crew may be few (for the moment), but the ice has been broken on the field of play. After an unplanned break in the schedule on Friday, the boys are away to play in Paducah, hopefully to spoil the opening day festivities for the Chiefs. Tomorrow the Railroaders will be Home for a Sunday evening game starting on 6:00 PM. Our opponent will be the Henderson Flash who are also currently 0-1. Tonight the Flash are hosting the Stallions who handed them defeat yesterday. Remember, you can follow tonight’s game on GameChanger. I believe they also stream radio, but can’t remember the site and the Chiefs website is not good at providing links (or information for that matter). They should fix that. 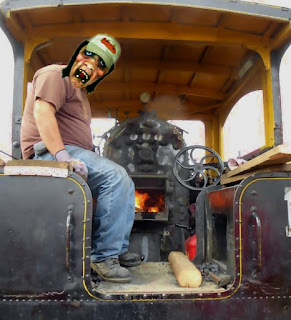 Fire it up, Railroaders. Let’s get a win…..Game starts in 15 minutes . . .
Last night’s game against the Hoppers certainly wasn’t what we were looking for. Tonight the Chiefs come to Fulton to take on the Railroaders. While Fulton continues to wait for more players to arrive, our current team of 15 will have to try again to get their first victory of the season. The cheese have yet to break the ice on the 2018 season, as their game last night was rained out. The Railroaders at least have that advantage going into tonight‘s game. The weather looks to be holding, but it will be warm for sure. Let’s hope the Railroaders make it hot on the field and get the win. This game rescheduled for Monday, June 11. Firing up for another Season of Baseball beginning Tonight. 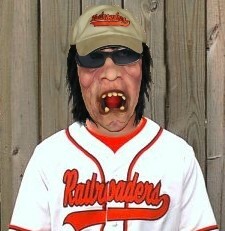 Baring the threatening weather, the Railroaders will open tonight at home in the Yard and take on the Hoptown Hoppers. With a 24-16 in 2017, the Hoppers were 1st in the West Division and 2nd in the OVL overall. The Railroaders finished last in the West with a 18-22 record in a tight group including the Chiefs and Miners. For 2018 there are no divisions. All 8 teams remain grouped together (I wonder why?). Moving on to the home opener here in Fulton. The Railroaders and Hoppers have always produced good games together. Fulton will be the underdog once more, with the Hoppers getting a little more time to prepare. The Railroaders full roster has not yet arrived, but 15 (maybe plus) will be on hand to put up a good fight. Last year’s home opening (2nd game of the season) saw the Railroaders come from behind in the 10th inning with a walk off grand slam homerun. A victory tonight against the Hoppers would be not only a great start, but also a big win against a good adversary. The Fans can help by supporting the guys at the Yard. Lots of new changes are coming this year for the Railroaders and the OVL. New scoring, stats and game information with GameChanger. The Railroaders website will be upgraded over the course of the season. And of course TeamLine for all Railroader home games will remain with audio and video available. I’m looking forward to 2018 as it will be my last year blogging. Several new personnel will be handling various jobs around the Yard. I urge everyone to welcome and support their efforts. I certainly do!